Right now, James Franco and Seth Rogen are filming The Interview, the film about a handsome talk show host (Franco) and his producer (Rogen) who find themselves in way over their heads when they get involved in a plot to assassinate the leader of North Korea. 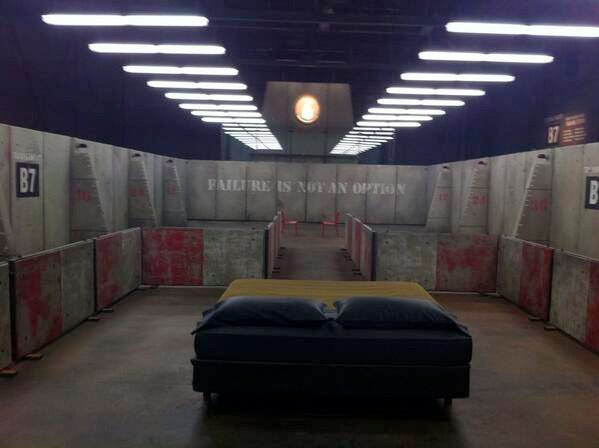 Well, we just noticed a first look photo from the set of the film giving us a glimpse at the character Franco is playing, along with a CIA training facility that he and Rogen in which they will get trained to kill. These photos were released last month, but we noticed them because of an amazing shot-for-shot remake of Kanye West's most recent silly and indulgent music video with Kim Kardashian. Let's just say Franco and Rogen get pretty intimate, and it's hilarious. Look! The Interview is written and directed by Seth Rogen and Evan Goldberg (This is the End, writers of Superbad), with a story the duo wrote with "The Daily Show" scribe Dan Sterling. 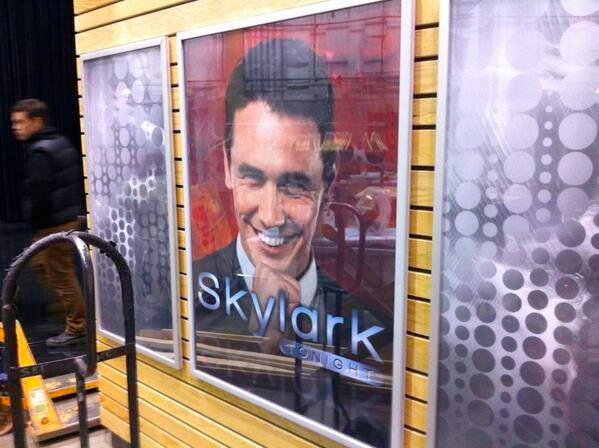 In the comedy, James Franco plays a handsome talk show host of "Skylark Tonight" who finds himself and his producer (Rogen) into a dangerous CIA organized plot to assassinate the leader of North Korea under the guise of a television interview. Lizzy Caplan also stars in the film which Sony Pictures is releasing on October 14th, 2014. Liars!!!!!!!!!!!!!! Where is the video???????????? i thought you were talking about the music video, in which Seth and James make out... but if your talking about the movie, then ur a friggin dunce! Seth Rogen looks like Seth Rogen again.